It’s not often my work’s mentioned in mainstream publications, but it’s always instructive when it happens. Such an instance occurred earlier this week in the form of a nonsensical BuzzFeed piece. I immediately pointed out the ridiculousness over Twitter about being included in an article with a title implying I’m “far right,” but there’s no way to know if this influenced the alteration. Either way, the piece gives me a perfect excuse to once again highlight some very important points regarding the dangers and counter-productiveness of excessive political tribalism. Some users, who claimed not to be affiliated with either the left or the right, noted the apparent sudden shift. Her choice of words says so much about the extremely childish prism through which too many people view politics today. She seems to find it completely incredulous that someone might not fit into a neat little ideological box defined as “right or left.” As such, I must simply be “claiming” it, as opposed to living it each and every day. There’s a reason I’ve kept the following as my permanent pinned tweet for nearly a year. I keep that there for a variety of reasons. First, it’s the perfect introduction to my worldview and overall thought process. Secondly, it’s meant to put people on notice before they follow me. I will not confirm your biases because I don’t fit into any of the simplistic and jingoistic political labels we demand our fellow humans self-select into. Once everyone’s comfortably positioned in a political tribe the public becomes more easily controllable. Here’s what I mean. Once you decide, “I’m a socialist” or “I’m a libertarian” you’ve voluntarily placed yourself into an established political sect. This sect will invariably have its very own unofficial rules of conduct, virtue signaling etiquette, and defined positions on virtually every major issue. Worse, the other members of your new tribe will demand totally conformity on all issues. If you deviate meaningfully from any element of the doctrine you’ll be ostracized. It’s this peer pressure which then leads to self-censorship. Everybody who decides to identify strongly with a well defined political ideology becomes a victim. If you're scared to retweet someone because you're afraid of what your friends/followers might think, your mind is Pwned. They got you in the mental reservation where they want you. The only way to avoid this mental trap is to not self-label. The fact I don’t belong to any political tribe gives me total flexibility in my mental thought process. I don’t need to wonder “will my fellow libertarians (or socialists or conservatives) approve” before voicing an opinion or tweeting something. This isn’t complicated, the moment you self-label you’ve willingly and destructively given away your mind to the crowd. Sure, it’s a crowd of your choosing, but it’s a crowd nonetheless, and the crowd will demand intellectual conformity. The moment you self-label is the moment you’ve decided to outsource your critical thinking to a mob. You’re no longer a free thinking human. If there are so many clear downsides to self-labeling, why is it so incredibly common? There are several reasons. First, we’re a tribal species and uniting into tight bonds for self-preservation is part of our evolutionary history. We seem to be hard-wired for tribalism. Second, it simply makes political life much easier to join an established group. You no longer have to think for yourself on all issues, but can simply consult your new tribe’s position on a topic and embrace it like everyone else. Even better, you know your fellow tribe members will never turn against you provided you just accept the groupthink. You get two things for the price of one, protection from an established tribe and an excuse to become intellectually lazy. Most people will choose this every time. Self-labeling also makes you feel better than those outside your political tribe, you know, the ideological heathens who must be permanently ostracized and only derisively discussed. In other words, you and your brethren discovered truth and are morally superior to the members of all other tribes. Being politically tribal simply makes you feel good. In any event, why am I writing about this now? Because unaccountable lunatics in the U.S. are attempting to start World War 3 without Congressional approval, and refuse to provide any evidence to the public which will be asked to suffer the consequences of their actions. 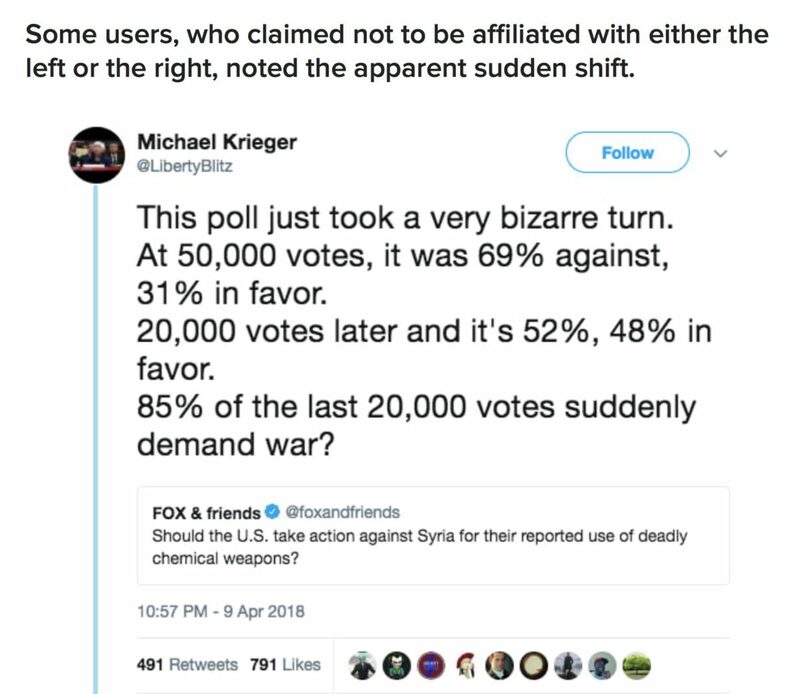 The mass media is currently trying to sell the public as aggressively as possible on this war, and one key tactic appears to be to marginalize anti-war voices by claiming they’re on the “far right,” as had been done to me with that BuzzFeed article. 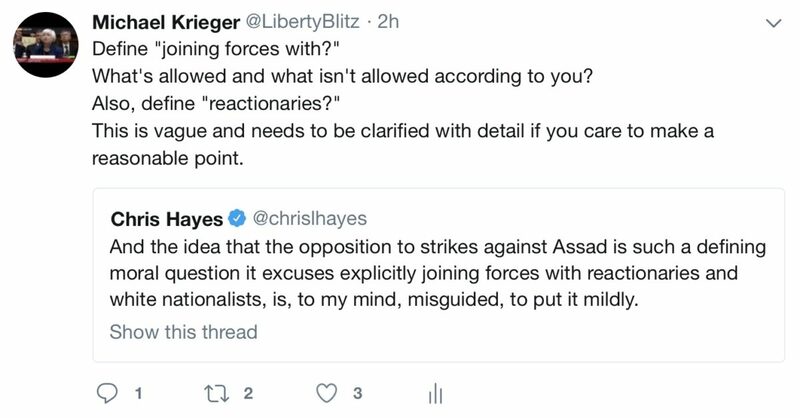 I called Chris Hayes out on this earlier, which led to a series of tweets I want to share. The mass media is desperately trying to lump anti-war people into a vague "far right" or "reactionary" camp in order to scare your average malleable person into not becoming anti-war. Here's what the truly powerful love to see. When we call each other "Nazis, fascists, libtards, Marxists." What they hate, is everyone coming together and saying this war is bad for 99.99% of us and we will say NO with one voice. The average American is not your enemy. He or she is probably just a chump being manipulated like you. Refocus attention on the real problem. It's not the powerless American citizen from a different political party. Taking this a step further, the average person anywhere around the world is not your enemy. Like you, they generally just want to be left alone, love their family and experience peaceful life. 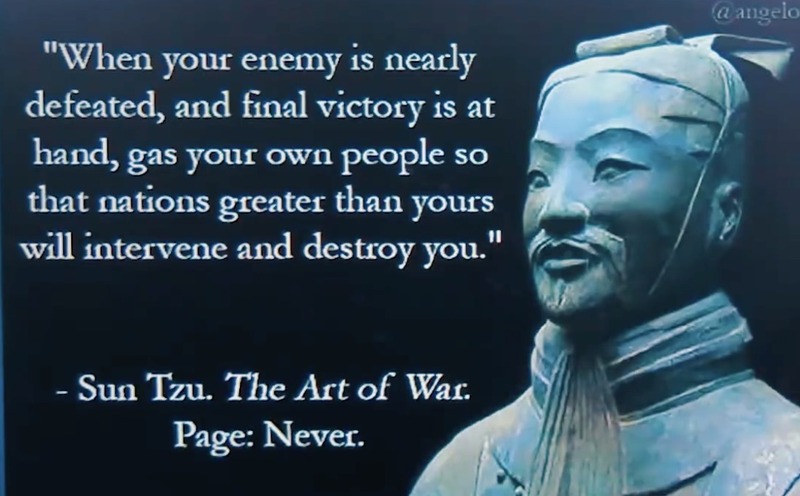 This war the U.S. government and media are trying to sell us on is completely unnecessary, stupid and based on zero evidence. Their desperate tactics to get it going combined with the nonsensical rationale behind it tell you everything you need to know. It won’t benefit 99.99% of American citizens to start World War 3 and it won’t benefit Syrians. Decent humans around the world need to stop being fractured by petty differences and unite on this issue with one voice to say: NO. That’s the only thing that will really scare the crazed war hawks.